The Image Interpretation e-learning programme, also known as Interpretation of Radiological Images (e-IRI), is being developed by the Society and College of Radiographers, in collaboration with the Health Education England e-Learning for Healthcare programme. 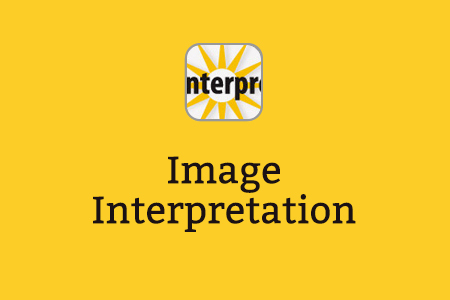 Image Interpretation was launched at the UK Radiological Congress in Birmingham in June 2010. 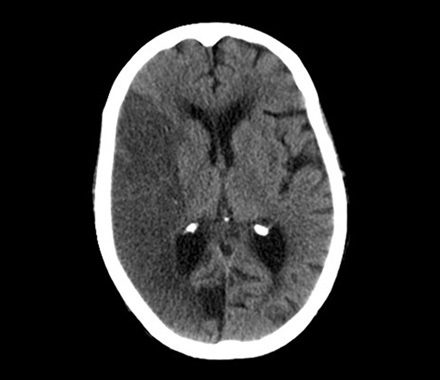 The current and planned e-learning provides continuing professional development in basic image interpretation to support radiographers and other health professionals with interpreting and offering reports on plain x-rays (adult and paediatric – appendicular and axial skeleton; abdomen and chest); cross-sectional imaging in neuro emergency (CT and MRI) and MRI (musculoskeletal); ultrasound imaging (gynaecological, abdominal, men’s health, vascular, musculoskeletal, paediatric, head and neck and obstetrics); breast imaging (multi-modality); gastro-intestinal (GI) and genito-urinary (GU) imaging; nuclear medicine imaging; neurointerventional imaging and cardiac imaging; with additional modules relating to forensic radiography and an introduction to imaging technologies. The e-learning has been written by senior practitioners and university lecturers. All the material has been approved by the College of Radiographers and a certificate is awarded on completion of each course (a group of sessions). All learning undertaken can be recorded in CPD portfolios for professional accreditation and regulatory (HCPC) CPD purposes. For more information, please select Summary below. In a scientific study , the e-learning was shown to improve the chest x-ray interpretation skills of medical students in preparation for their postgraduate training. Tamaklo E. Can e-learning improve medical students’ ability to interpret chest x-rays in comparison with electronic text? Poster session presented at: ASME Annual Scientific Meeting; 2012 Jul 18-20; Brighton, England. 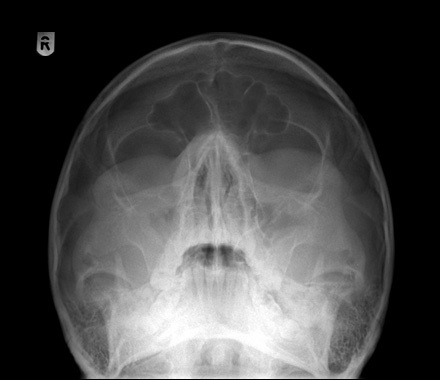 Image Interpretation is available to a wide range of health professionals including radiographers, doctors, nurses, and allied health professionals, helping to ensure they are all working to nationally agreed standards, and ultimately delivering high quality patient care. The College of Radiographers has created a national syllabus for image interpretation against which core training will be delivered across the NHS. 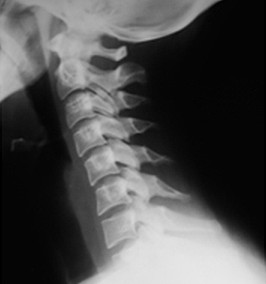 Image Interpretation provides a structured syllabus to support radiographers and other health professionals to interpret radiographs as part of their role in the clinical setting. For information on the sessions in the programme, please select Syllabus below. Professionals often see reflection as a time consuming and unpopular responsibility. Part of the unpopularity often comes from the way it’s taught and written about. 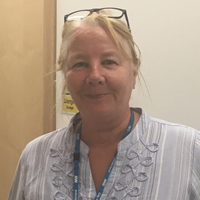 This article, first published in Synergy News  aims to encourage practitioners to overcome their reluctance and to investigate reflective templates and models which will help them to improve their practice and the service they deliver to patients and service users. Coleman LG. Recording reflective CPD. Synergy News 2016; October:14-15. Below are some sample sessions from Image Interpretation, which like all Image Interpretation sessions, have been written by subject specialists. They demonstrate how the e-learning works, how multimedia features such as animation are used to support the learning and how learners can check their understanding of a subject through assessment. The sessions follow a structured format which comprehensively covers the skills required to offer an informed opinion on radiograph, ultrasound and cross-sectional images. Sessions are also grouped into courses to enable you to better manage your learning of this e-learning resource. This session will look at injuries related to the facial bones. 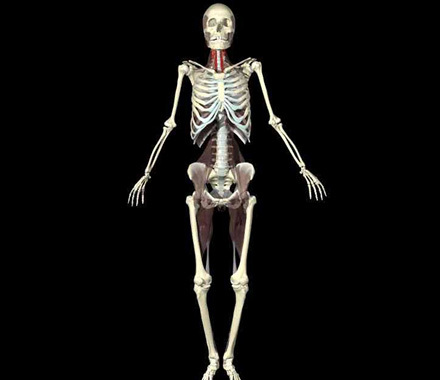 It will focus on identifying anatomy demonstrated on both diagrams and radiographs, and offer examples of radiographic technique. Mechanisms of injury will be discussed to develop a knowledge base in clinical presentations. This session will look at common neurological emergencies, why and how they are imaged. 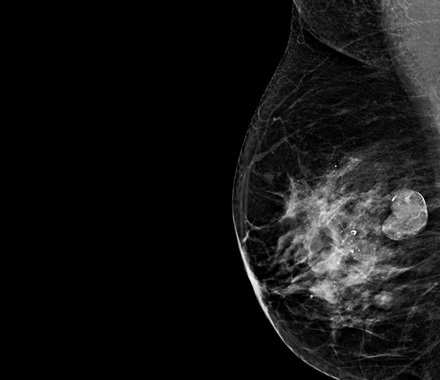 This session will look at benign lesions of the breast. 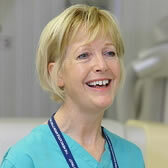 It will look at some of the clinical aspects and then focus on the imaging characteristics of each lesion. This session will look at the anatomy of the knee which will be illustrated using diagrams, magnetic resonance images and some arthroscopic images. Mechanisms of injury will be discussed along with technique for magnetic resonance imaging of the knee. Joanne Hargreaves, Claire Giles, Nick Woznitza (and also many, many hours of image sourcing support), Paul O’Riordan, Lisa Field, Sally Athey, Andrew Yeung, John Tuckett, Charlotte Ansell, Alvin Karsandas, Karen Heggs, Kevin Harvell, Tracy O’Regan, Kara Mell, Sarah Gallimore, Kathy Dewar, Anne Lancaster, Kirsty Buckley, Alison Walker, Chris Dennison, Matthew Scott, Claire Gowdy, Julie Hall, Nigel Hughes, Anna Beattie, Dipalee Durve, Michael McNeill, Michael Carss, Phil Allen, Richard Harbron, Anne Marie Coady, Regina Fernando, Rosie Simpson, Angela Clough, Peter Cantin, Glenda Toach, Zahir Amin, Doug Pendsé, Jane Smith, Pam Parker, Angela Galea, Simon Freeman, Bob Jarman, Will Topping, Lisa Britland, Uday Patel, Emma Chung, Borsha Sarker, Stephen Wolstenhulme, Tim Hartshorne, Colin Deane, Gill Dolbear, Sarah Riley, Lisa Meacock, Gajan Rajeswaran, Justin Lee, Amanda Isaac, Ellen Dyer, Rebecca Baker, Rob Pearce, Warren Foster, Karen Partington, Phil Robinson, Alison Hall, Clare Drury, Neil Cozens, Andrew Longmead, Catherine Kirkpatrick, Stephen Duffy, Alison Tonkin, Claire Wheldon, Victoria Bull, Gail ter Haar, Jane Belfield, Teresa Humphrey, David Horton, Julie Smith, Laurence Abernethy, David Cole, Allison Harris, Sophie Bale, Jean Carter, Nigel Thomson, David Cole, Jane Arezina, Alison McGuiness, Louise Coleman, Emily Lewis, Peter Keane, Julie Howson, Emily Fairclough, Joseph Monaghan, Hazel Edwards, Vivien Gibbs, David Lewis, Marcus Nicholls, Rebecca Ralph, Brathaban Rajayogeswaran, Lol Berman, Gill Harrison, Lisa Pittock, Graeme Strong, Miles Weston, Linsley Lunt, Jacqueline Westgarth, Jennifer Clarke, Jillian Jackson, Joanna Dixon, Sarah Savaridas, Alice Leaver, Fiona Hawke, Julie Nightingale, Roger Newman, Michael North, Joanne McBarron, Gillian Roe, Rachel Baldwin, Mike Smith, Gary Culpan, Liam Gale, Roy Craven, Ruth Taylor, Saminah Yunis, Peter Hogg, Richard Lawson, Gopinath Gnanasegaran, Jackie James, Mary Prescott, Linda Smith, Caroline Hurley, Parthiban Arumugam, Peter Julyan, Randeep Kulshrestha, Parthiban Arumugam, Brian Murby, Sobhan Vinjamuri, Rob Meertens, Nicola Hind, Samantha Brinklow, Lisa Flett, Andrew Woodhouse, Neil Boland, Andrew Day, Amanda Loughlin, Paul Simpson, Natasha Hayes, Cheryl Bean, Penny Delf, Cherise Lambert, Charlotte Ansell and Ben Pinnington. 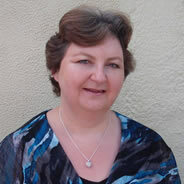 We would like to acknowledge Joseph Monaghan, Sean Kelly, Patricia Howe, Tony Gore, Ian Dodson, Scott Mountifield, Martin Sinclair, Andrew Dowden, Robert Smith, Stephen Wilson, Ian Robinson and David Brown who have contributed greatly to the creation of the Image Interpretation project, be it at its inception, development, and implementation; or through ongoing technical support. We would also like to thank the South Tyneside NHS Foundation Trust, Homerton University Hospital NHS Trust and City Hospitals Sunderland NHS Foundation Trust for their image sourcing support. If you already have an account with e-LfH, then you can enrol on to the Interpretation of Radiological Images (e-IRI) programme by logging in to the e-LfH Hub, selecting My Account > Enrolment and selecting the programme. You can then access the programme immediately in the My e-Learning section. In the event that you do not qualify for free access to Image Interpretation, you are able to license access through eIntegrity, a community-interest company established for this purpose. For more information on the licensing options available for Image Interpretation, please visit the eIntegrity website. Image Interpretation is also available to NHS healthcare staff via the Electronic Staff Record (ESR). Accessing this e-Learning via ESR means that your completions will transfer with you throughout your NHS career. 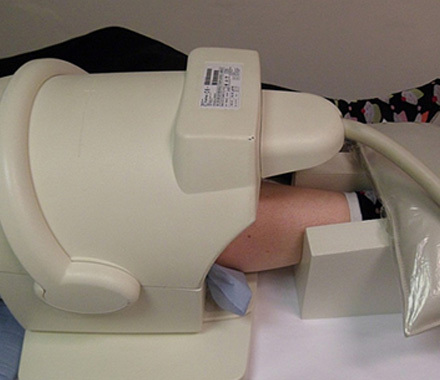 Professor Sobhan Vinjamuri and colleagues from the Department of Nuclear Medicine, Royal Liverpool and Broadgreen University Hospitals NHS Trust, have spent the summer reviewing and updating the Image Interpretation nuclear medicine sessions. Professor Vinjamuri is a former President of the British Nuclear Medicine Society, and currently their representative for Research and Innovation. Professor Vinjamuri and the Liverpool team are now kindly using their expertise to help e-Learning for healthcare with reviews of the Radiology (R-ITI) Radionuclide radiology content to ensure the material is consistently accurate and authoritative.